2) they result from a build-up of water in hollows which have an impermeable bottom such as clay. Centuries ago, such ponds was known as a ‘dew ponds’ because it was believed they were miraculously formed i.e. ‘of Dieu’. 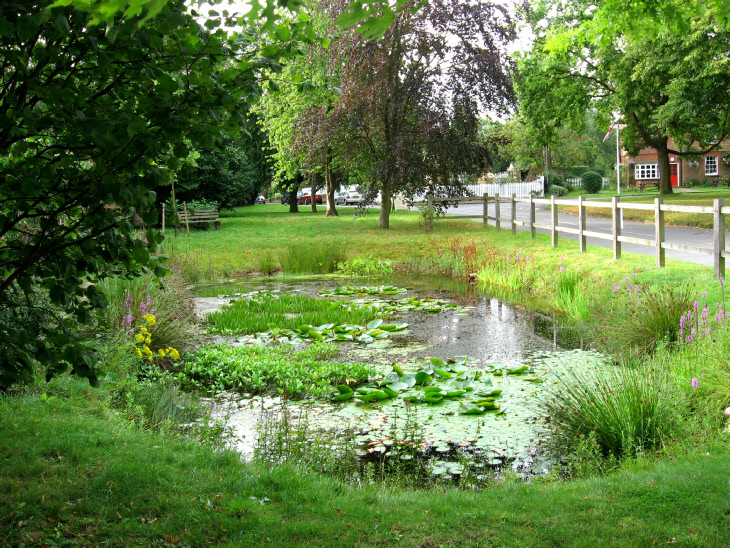 As the countryside around Preston has a skim of clay and there are springs in the area, the village is in an ideal situation for the creation of ponds. The water in ponds was an vital part of a village’s existence – it sustained the lives of men and beasts. Before the well at Preston Green was sunk in 1872 (because the village’s ponds had evaporated during an exceptionally hot summer), from whence could villagers obtain their drinking water? 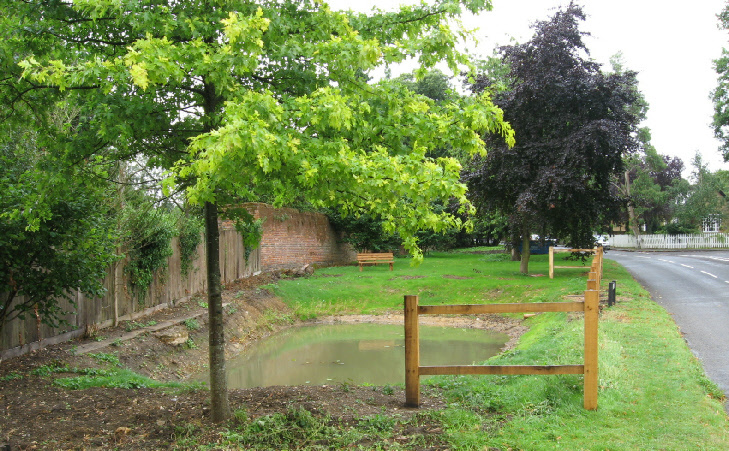 There were other wells dotted around the district (at Preston Hill Farm, Pond Farm, Poynders End and Austage End), but the main source of water for quenching thirst, washing, laundering and cooking were the ponds. Their purity was improved by the filtering of water through stones as it ran off the lanes but they might be contaminated by animal deposits and the occasional dead cat or rat. When farm workers wanted to slake their thirst, the ponds and ditches were sometimes their only immediate source of liquid – their choice was to risk typhoid or dehydrate. Farmers, such as Mr Armstrong at Preston Hill Farm, brewed “small” weak beer on their premises which was gladly drunk by their labourers. In the days before piped water, ponds were also essential on farmland for watering livestock and washing implements and carts. Farmers sometimes made their own ponds in dips in their fields by ‘puddling clay’ in the bottom of the depression - a process which was abetted by trampling cattle. When farms were advertised for sale, attention was drawn to the ponds on their land. 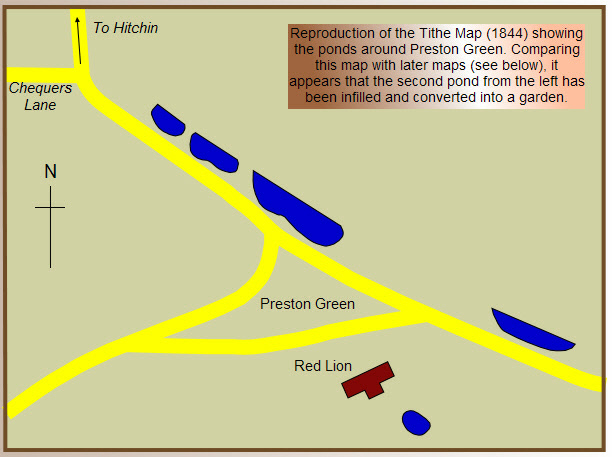 So, when Preston Hill Farm was sold in 1848, it was noted that it had three cattle ponds. The prospectus for the sale of Pond Farm in 1884 stated that ‘there are ponds of water upon the estate, one of which has a spring which has never been known to fail’. When Temple Dinsley came onto the market in 1873, a selling point was the ‘“pond with a never failing supply of water’ opposite the stables. Two further benefits of ponds were the willows growing around their fringes which were used for baskets and thatching and in the event of fire their water was used to dampen down the flames. 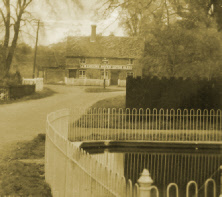 Because of ways in which the ponds were used, they were often to be found beside country lanes. Especially in summertime, they were a welcome interlude for horses pulling carts and carriages and for watering cattle and sheep which were being herded from point-to-point. 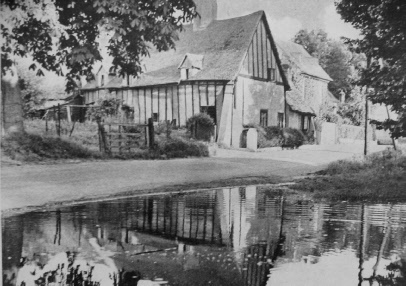 My father often recalled his frustration when one hot day he was driving cows from the market at Hitchin to Preston and he could not induce the thirsty beasts to leave the pond by the roadside at Gosmore (left). 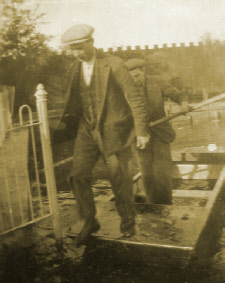 Ponds were so vital to country life that they were often the reason for people settling in a particular location. Where lanes converged at ponds, it was natural for folk to congregate. For this reason, perhaps the ponds at Preston Green pre-dated the homes there. The main pond at Preston Green was known as the ‘rail pond’. After World War I, Mr G I E Pryor carried water from it to irrigate the newly-laid cricket pitch at the recreation ground. From time to time the pond was cleaned out. It was ‘so deep that to anyone standing in the bottom, the chimneys of the Red Lion were not visible’. 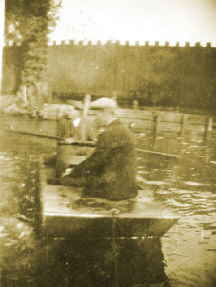 In the 1930s, George Crawley and my father made an epic voyage across the rail pond which was captured on film (see right). My memory of the pond in the early 1960s is that it had a green carpet of duckweed. 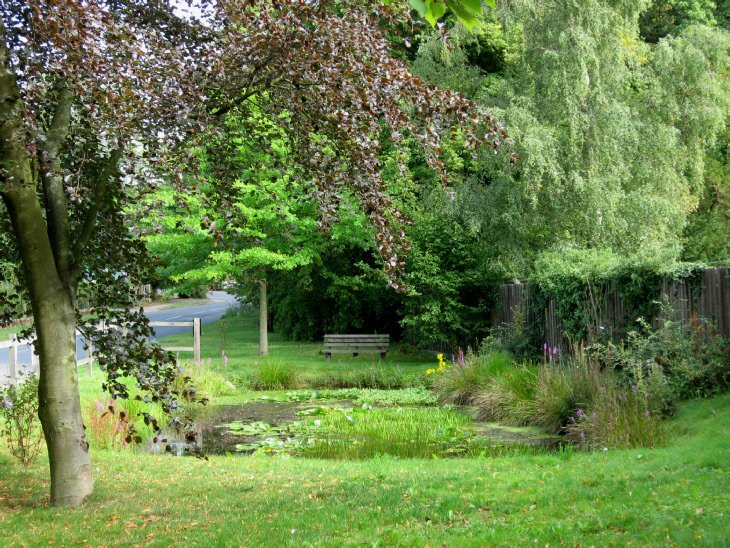 While the ponds of Preston were simply functional in the nineteenth century, the new pond in the village is doubtless intended to enhance the attractive setting of the Green. 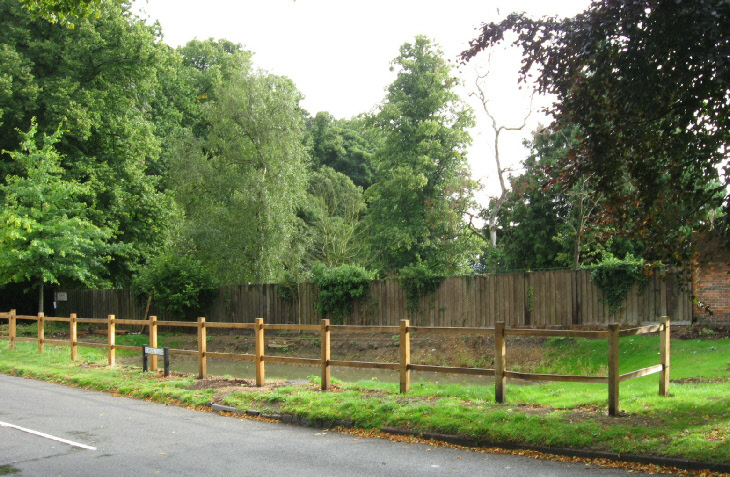 In 2007, there was a move to restore the pond beside Preston Green. 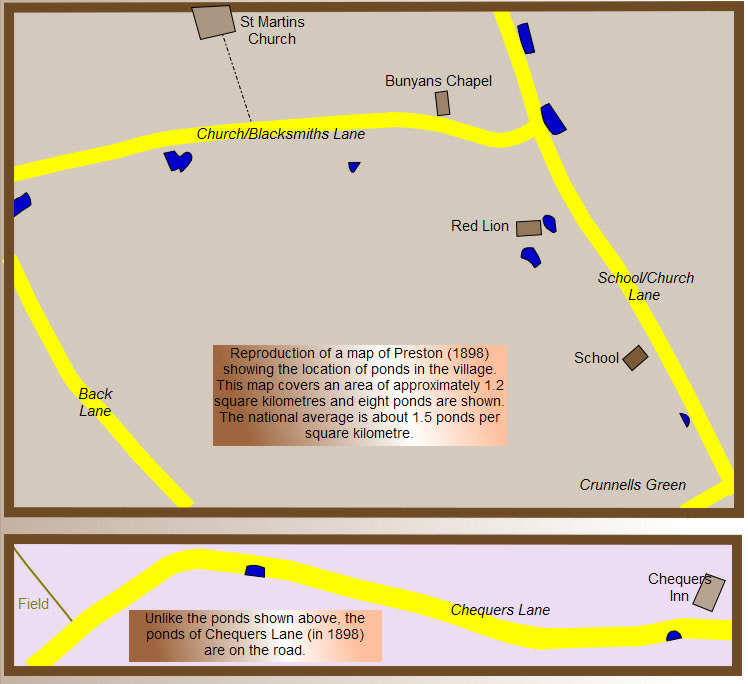 In the nineteenth century, maps show that there was a preponderance of ponds at Preston such as the ‘rail pond’ (shown right). What was their significance in the life of the villagers?